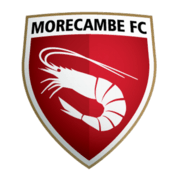 Morecambe Football Club is a professional football club in Morecambe, Lancashire, England, which plays in League Two, the fourth tier of English football. In 2007, they were promoted for the first time into the Football League. From 1921 to 2010, home matches were played at Christie Park. In 2010, the club moved to Globe Arena. Football in the town dates back to the turn of the 20th century; however, it was not until 7 May 1920 that Morecambe FC was formed after a meeting at the local West View Hotel. The club then took its place in the Lancashire Combination League for the 1920–21 season. Sharing grounds with the Cricket Club at Wood Hill Lane during the first season, football proved popular, with crowds in excess of 3,000 for derby fixtures with Lancaster City and Fleetwood Town. Although success on the field was hard to come by, with the club languishing near the bottom of the table, at the end of the first season the club moved grounds to Roseberry Park. A few years later after the purchase of the ground by the then-President, Mr. J.B. Christie, the ground's name was changed to Christie Park, in his honour. Those early seasons proved difficult and it was not until 1924–25 that the club began to enjoy some success, claiming the league title for the first time; this was later followed by success in the Lancashire Junior Cup, beating old rivals Chorley after two replays, and in front of over 30,000 spectators. Mr. Christie bequeathed the ground to the club in 1927 and also helped incorporate the club into a Limited Company with a then share capital of £1,000. The rest of the 1920s and the whole of the 1930s saw a constant struggle to keep football alive on the North West coast, with poor results on the field and little or no revenue off the field, a near certain recipe for disaster. The post-war era saw an upturn in the Shrimps' fortunes with steady progress throughout the late 1940s and nearly all the 1950s, with a visible marked improvement when in 1956 Ken Horton was appointed player-manager. Whilst success was only just around the corner, the foundations for the future were being built. The Auxiliary Supporters club had been formed and with their help many ground improvements were undertaken, so that the on-field success dovetailed neatly with the off-field enterprise. The fourteen years from 1960 could justifiably be said to be Morecambe's Golden Era. 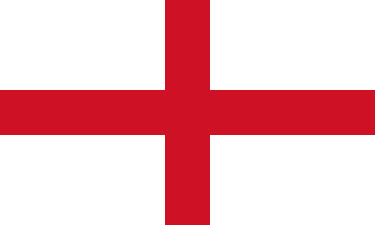 This included an FA Cup third round appearance in 1961–62, a 1–0 defeat to Weymouth; a Lancashire Senior Cup Final victory in 1968, a 2–1 win over Burnley; and an FA Trophy success at Wembley in 1974, a 2–1 win over Dartford in the final. The next 12 years were as barren as any previous period in the club's history, with the Grim Reaper never far from the Christie Park door. Attendances fell from a creditable 2,000 plus to a miserable 200 minus, with a visible decline in the club fortunes during that period. However, in 1985–86, signs of improvement appeared: the club's league position improved and cup success over the next few years filled the club with optimism. It took ten years of continual improvement both on and off the field to reach the club's ambition of promotion to the Football Conference after many further improvements, not only to the ground but also regarding the club's structure, giving the club the opportunity to confidently look forward as one of the more progressive Conference clubs. Since elevation to the Conference in season 1995–96, the Shrimps achieved status as one of the leading teams in the league. In fact, only Woking had a longer unbroken membership of the league at this time. Runners-up spot was claimed on one occasion and the play-offs places were narrowly missed twice. Also during this time, the club also equalled its best appearance in the FA Cup in both 2000–01 and 2002–03. On both occasions the club faced Ipswich Town, losing 3–0 and 4–0 respectively. Morecambe also defeated a few league clubs in the FA Cup, including Cambridge United in 2000–01 and Chesterfield in 2002–03. In the 2005–06 season, Morecambe reached the play-offs, but were beaten 4–3 on aggregate by Hereford United, after a 1–1 draw in the first leg at Christie Park. In November 2005, Jim Harvey suffered a heart attack during a league game at Christie Park against Cambridge United. Quickly the club declared the appointment of a caretaker manager, Sammy McIlroy, a long-time friend of Harvey. After McIlroy's initial three-month stint as caretaker expired, he was given the job for the remainder of the season with Harvey expected to return on its closure. However, on his first day back as manager of Morecambe, Harvey was sacked by the club and McIlroy was appointed as permanent manager with Mark Lillis as his assistant. This caused a feud between long-time friends Harvey and McIlroy which has not been reconciled to this day. Morecambe were promoted to the Football League for the first time in their history after winning the Conference Playoff Final, beating Exeter City 2–1 at Wembley on 20 May 2007, in front of over 40,000 fans which followed their semi-final victory over York City. On 17 July 2007, Morecambe announced plans to move to a new stadium in time for the start of the 2009–10 season. Work did not commence on the proposed site until spring 2009 with an anticipated completion date of summer 2010. Morecambe played their first game in the Football League against Barnet at Christie Park in August 2007, in which they played out a 0–0 draw to secure their first ever Football League point. On 14 August 2007, Morecambe played their first fixture in the League Cup and recorded a 2–1 win against near neighbours Preston North End at Deepdale with Jim Bentley and David Artell scoring for Morecambe. The Shrimps compounded this result with another upset win over a Championship side, a 3–1 win over Wolverhampton Wanderers on 28 August to advance into the third round of the League Cup, in which they faced a third consecutive Championship side, Sheffield United. However, Morecambe lost 5 goals to 0. They finished their first season in League Two in 11th place with 60 points. They also finished the 2008–09 season in 11th, this time with 63 points. 2009–10 was Morecambe's last season at Christie Park. They finished the season in fourth place, qualifying for the playoffs, where they lost 7–2 on aggregate to Dagenham & Redbridge. On 10 August 2010, Morecambe played their first match at the Globe Arena against Championship side Coventry City in the League Cup First Round. Morecambe secured a 2–0 win, with Andy Fleming scoring the first two goals at the stadium. This earned Morecambe a Lancashire Derby in the second round against another Championship side, Burnley, where they lost 3–1. On 9 May 2011, Morecambe manager Sammy McIlroy left the club by mutual consent after five years at the helm. McIlroy, who took over as manager from Jim Harvey, had left the club alongside assistant Mark Lillis. Morecambe Chairman Peter McGuigan praised the pair for their efforts since taking over, describing McIlroy as the 'best manager in his reign at the club.' On 13 May 2011, just four days after McIlroy left, Morecambe Football Club announced that Jim Bentley would be their next manager, signing a two-year deal as player-manager. McIlroy took over the Shrimps initially as caretaker manager on 17 November 2005 after Jim Harvey had suffered a heart attack. In the absence of Harvey, Morecambe reached the Conference play-offs. They lost to Hereford 4–3 on aggregate, but this was a fantastic achievement for McIlroy, who was appointed permanent in May 2006. This was to be a wise appointment, as McIlroy guided to club to League Two for the first time in their history with a 2–1 win over Exeter City at Wembley Stadium. In their first season in the league, the Shrimps finished a very respectable 11th, and managed to beat Preston North End and Wolverhampton Wanderers 2–1 and 3–1 in the English League Cup respectively. In the 2008–09 season, Morecambe finished 11th yet again. The 2009–10 season was to be Morecambe's last at Christie Park, the club's home for 89 years. They surpassed every pundit's predictions to finish 4th, and earned the chance to participate in the League Two play-offs. However, they lost 7–2 on aggregate to Dagenham and Redbridge. A 6–0 battering at Victoria Road made the second leg almost meaningless, but McIlroy encouraged his team to a 2–1 win in the last ever game at Christie Park. The Shrimps then moved on to their first season at the Globe Arena, however it was a disappointing one. They finished 20th, only four points above the relegation zone. On 9 May 2011 McIlroy left the club by mutual consent. On 13 May 2011, Bentley was appointed manager on a two-year contract. His first game as a professional manager was a 1–0 defeat at home to Barnet. The Shrimps then went on a run of 4 wins in all competitions, including a 2–0 victory over Barnsley in the League Cup. After his first 9 games in charge, Morecambe sat top of the league after winning 6, drawing 2 and losing just once. Morecambe were credited for their defence at this time, after conceding just 5 goals in 9 games. However, this didn't last, as a poor end to the season led to Morecambe finishing 15th in League Two, an improvement on the previous season. Jim Bentley's second season began with a 3–0 win over Exeter City. However, inconsistent performances once again resulted in them slipping into mid-table. On 20 May 2007, Morecambe faced Exeter City at Wembley for a place in the Football League. The Shrimps had never previously been promoted to such a high level. A late Danny Carlton winner sent the Shrimps up. Morecambe have always had a bitter rivalry with Lancashire neighbours Accrington Stanley. The Shrimps failed to beat Accrington in 16 attempts after their 2007 promotion to the Football League. Finally Aaron Wildig's goal gave them a 1–0 win over their rivals in August 2015. Morecambe's other local rivals include Lancaster City, Fleetwood Town, Barrow, Southport and, from further afield, Bradford City. The Shrimps mascot is Christie the cat. The cat was named after Morecambe's old Stadium, Christie Park. The cat, a good chum of all the Shrimps fans, was adopted by the home fans after being unveiled a few seasons ago. He once had an infamous friendly altercation with Dagenham & Redbridge goalkeeper Tony Roberts for which he was sent off, despite it being started by Roberts himself. Christie is now a regular at The Globe Arena, after reappearing following his theft after the last game at Christie park, a member of the public came into the Globe and offered Christie the cat for sale to the club, after a short time waiting the nice police man explained to the member of the public, he was going home empty handed and congratulated for his community spirit. ↑ The Lancashire Cup – A Complete Record 1879–80 to 2006–07, by Gordon Small. A SoccerData Publication on behalf of the Lancashire Football Association. 2007. ISBN 978-1-905891-04-7. ↑ "Exeter 1–2 Morecambe". BBC Sport. 20 May 2007. Retrieved 20 May 2007. ↑ "New Stadium Planned". Morecambe FC. 17 July 2007. Retrieved 17 July 2007. ↑ "Morecambe 0–0 Barnet". BBC Sport. 11 August 2007. Retrieved 14 August 2007. ↑ "Preston 1–2 Morecambe". BBC Sport. 14 August 2007. Retrieved 14 August 2007. ↑ "Morecambe | Fans | Christie the Cat | You can now follow Christie the Cat on Facebook". Morecambefc.com. Retrieved 2012-08-08.